Campfires, smoking and certain stoves might be subject to various restrictions depending on where you are on the trail this summer. Check with the local land agency for the latest information. Wildfire is an inevitable part of summer in the West. Sections of the PCT can and do close due to fire. In the event of a closure, the PCTA works with land management agencies to recommend detours around the closure. If it’s legal and appropriate to have a campfire, please keep it small. Do not build new fire rings or have a fire in a location that has not previously had one. It’s imperative that you fully extinguish your campfire before you go to bed. Many forest fires have been started by backpacker’s campfires. Your fire must be doused with water and be cold to the touch before you leave it unattended. You may be held liable for the cost of fighting a fire that you started. 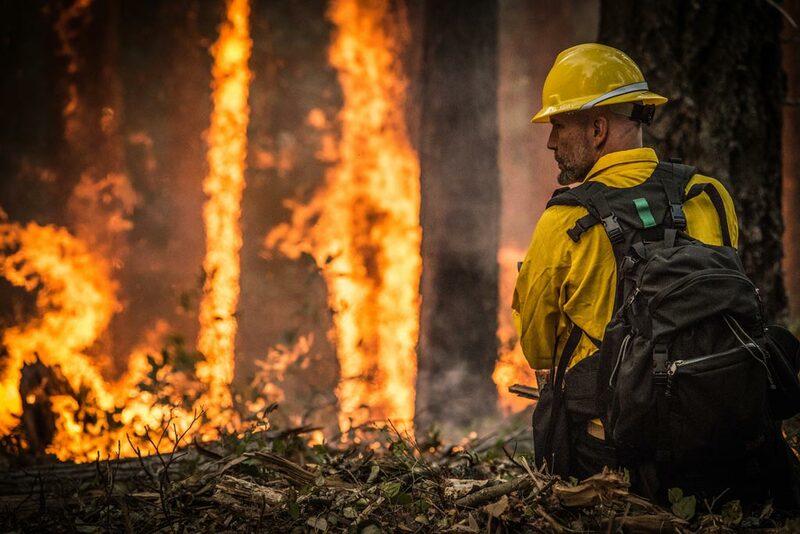 It is trail users’ responsibility to get up to date fire restrictions for the area of the PCT they are traveling through; further, it is imperative trail users abide by these current restrictions to reduce the potential for wildfire. You're on your own out there. Be prepared. 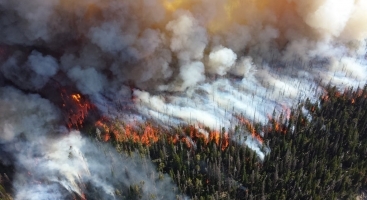 There are tens of thousands of wildfires every year. Everything is looser than you think. The official source for centralized PCT closure information. Campfires are generally not allowed on the PCT in Southern California. Only the rare developed car-camping campground, with official fire amenities, allow fires. 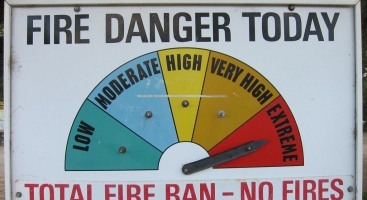 The fire danger is too extreme, and population centers too at-risk, to allow fires. Alcohol stoves and twig stoves can be dangerous since their fuel source is not contained and there is no positive shut-off. Stories abound of people burning picnic tables, themselves and starting forest fires when these stoves blew or were knocked over. It is likely that if campfires are prohibited, alcohol and twig stoves will be banned as well. 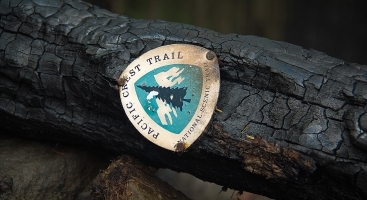 During periods of high fire danger, much of the Pacific Crest Trail can be placed under strong fire restrictions. Campfires and charcoal fires are banned in the backcountry and at remote campgrounds. They may be allowed at some campgrounds. Stoves become restricted. “Light” levels of restrictions allow for stoves that burn gas, jelly petroleum and pressurized liquid fuel. Alcohol stoves and wood-burning stoves aren’t allowed. Sometimes, especially in Southern California, ALL stoves are banned. Smoking outdoors can be banned. In many areas it is only allowed under the following conditions: within an enclosed building, an enclosed vehicle or developed campground. When driving to the trail during periods of increase restrictions, all motorized vehicles, including off-highway vehicles, are generally prohibited from going off-road or using any forest trails. For trail maintainers, chainsaw use is often prohibited. If allowed, the following firefighting equipment must be present with each operating saw: one axe, one shovel, and one 8 ounce or larger fire extinguisher. During restrictions, blasting is prohibited. Cutting, grinding and welding of metal is also generally prohibited during high fire danger. 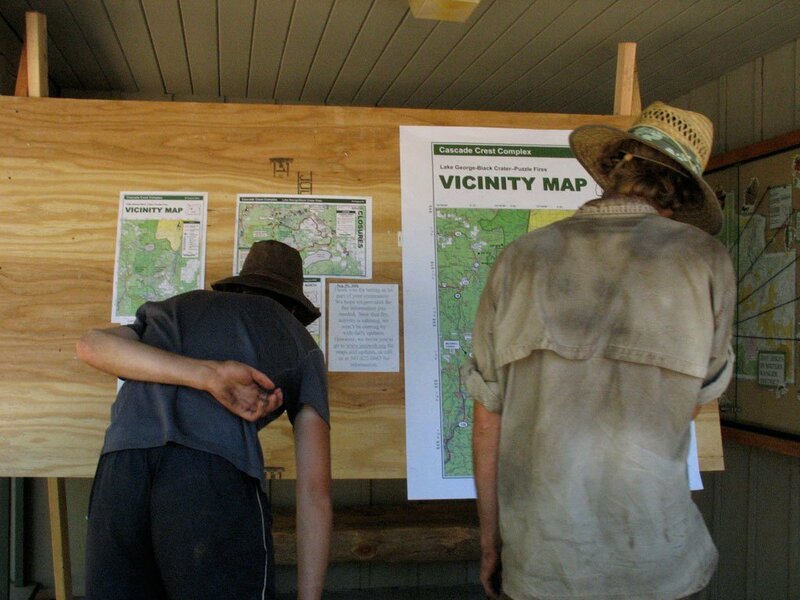 Thru-hikers reading information about a fire closure that forced them to skip around. Sometimes, regions of the trail close due to forest fires or extreme fire danger. Walking into a fire closure area is illegal. It is also extremely hazardous, even when flames are not nearby. Wind can suddenly change direction, rapidly transporting smoke and fire. Spot fires from flying embers can ignite miles away from the main fire. Read more about how to react to wildfires. Smoke can get so thick that it eliminates visibility and makes breathing impossible. Retardant chemicals can be dropped from aircraft without warning. After the main fire has passed, hot spots can travel and linger underground for weeks, creating trap-door-like charcoal pits. Burned trees and limbs can break and fall at any time. 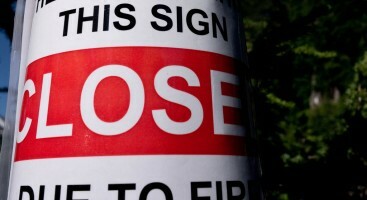 When deciding to close an area of the forest, authorities weigh all of these hazards. Trail users in a closure area can trigger costly agency responses, diverting personnel and resources from the actual firefighting. We make every effort to warn trail users of a trail closure and/or detour ahead, but this is not always possible. Trail users who come upon an unexpected closure need to be prepared to follow an alternate route. The trail can remain closed for a long time after the fire is 100% contained. The PCTA and local agencies are working to minimize the hazards that the fire created. It can be a lot of hard work and take a while. Thanks for your understanding and patience. If campfire are allowed and appropriate, please be safe and low impact. Read more about what you should know about fire restrictions, warnings and watches. Prepare your site – Find a level spot away from overhanging branches, brush, or dry grass. Keep away from the base of a hill. Escaped fires travel uphill fast. With a shovel, clear a circle 10 feet wide down to bare dirt. Hollow out a fire pit 6 inches deep and 2 feet across at the center of the cleared circle. Pile the dirt around the fire pit. Keep your fire small. Use existing fire rings where available to reduce the number of disturbed areas and damage to soil cover and vegetation. Beware of the duff – Duff is the layer of decomposing wood material that lies on the forest floor between pine needles and bare dirt. Many times it may look like dirt, but it isn’t. Duff burns, dirt doesn’t. It allows even the smallest ember to smolder for days, most times underground and unnoticed, until enough heat is built up to produce flames. Don’t let the duff fool you. Attend to your fire – Never leave your campfire unattended, even for a few minutes or if you take a nap. Drown the fire – Drown your campfire 1/2 hour before you break camp. Use your shovel to separate the burning pieces of wood in the fire pit. Come prepared – Obtain your campfire permit if needed, bring your shovel, and a pail for water.